SFFs (Statistical Fact fans): As some of our more perceptive readers may have already deduced based on the new folder tab at the top of the page the official Statistical Swag store is now open for business. The store features statistical-themed prints, apparel, mugs, magnets and much much more. It’s a great opportunity to score some one-of-a-kind swag while helping support the series. Hey gang, just wanted to give everyone a quick update on the status of the site. We were dark for a while but given the fact that we’ve had some new Facts slowly trickling out over the past several months I’m switching the site’s status from “hiatus mode” to “when inspiration strikes me mode”. What this means is that I’m currently focused on longer projects I’m more passionate about but when I inevitably get inspired to create some short-form content (if only to mix things up) you’ll see it pop up here. Obviously I can’t predict when these moments of inspiration will strike (possibly once every couple of months if the past is any indication) so I must once again stress that if you want to stay informed about all the latest installments subscribe to the RSS, sign up for email updates or like us on Facebook. Or if you have some extra time and want to repeatedly mash the refresh key while staring at the home page all day that works too. Statistical fact: due to some tinkering under the hood the website is now 53.3% faster than before. 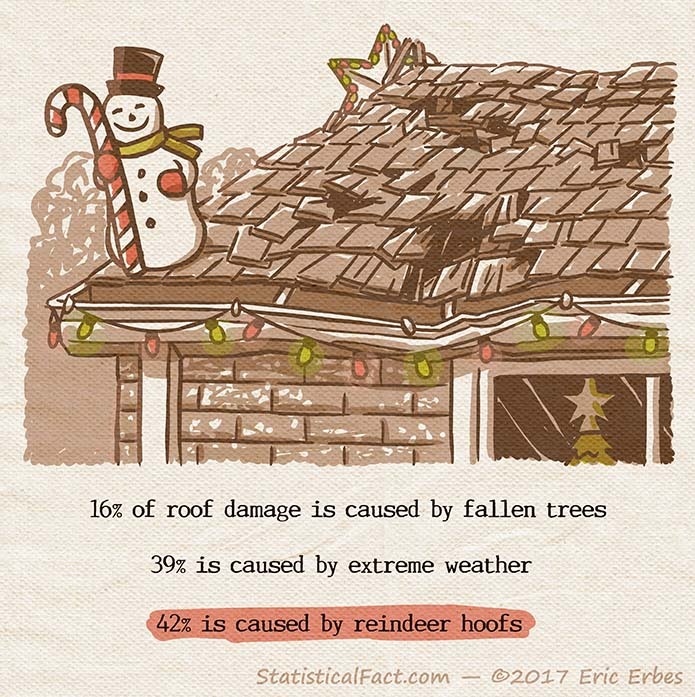 Enjoy the 53.3% smoother Statistical Fact and apologies for any performance/downtime issues you may have experienced in the past. Also Statistical Fact is currently in hiatus mode (ie no new comics) while I take a bit of vacation and tinker with some other comic projects I‘m excited about. Will continue to post updates here on all things Statistical Fact/new comic projects. Excited to announce that Statistical Fact is currently one of the featured series at Tapastic. For the unaware Tapastic is great mobile-friendly site for browsing and discovering new webcomics backed by a thriving community of creators and readers. You can link directly to the Statistical Fact section here. More brand spanking new content is on its way soon. Expect to see weekly updates through May and beyond. Huzzah! We made it! As of April 1st Statistical Fact has been spreading mirthful merriment and insightful insights for an entire year (and that’s no joke). It’s been a wild roller coaster ride full of highs, lows and intense butterfly inversions; it’s amazing to think how far we’ve come without blowing chunks (metaphorically speaking of course). Anyway, as eluded to in our previous post, the SF offices will be shutting down for an undisclosed period of time while we attend to various unrelated work projects. We do have one project currently in the planning stages that I think Statistical Fact Fans (aka Statistical Fans) will definitely dig so be sure to stay tuned for the latest updates.